Pink felt cowgirl hat with silver and pink sequins and rhinestones with a tiara on the front of the hat. 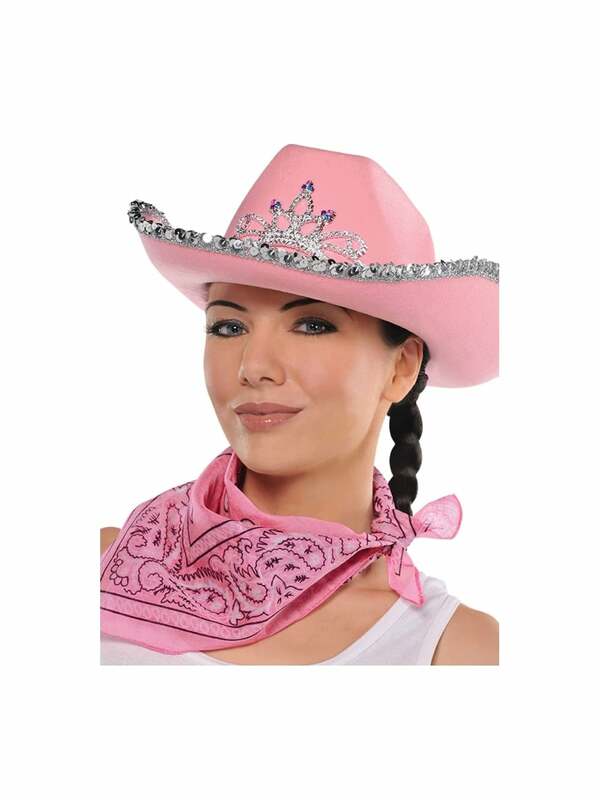 This super glam cowgirl hat is great for anyone wanting to rock a western outfit for the night. The rhinestones look fabulous under the lights and super girly. Just pop on with a chequered shirt and some denim shorts and you are ready to spin out the door... Don't forget that Hen Party Superstore offer next day delivery so no worries if you're running out of time!